Not everyone out there is trying to lose weight. Gaining or regaining weight can be a real challenge; it can be just as hard as losing weight. Although being lean can often be healthy, being underweight can be a concern if it’s the result of poor nutrition or a medical condition, or if you have other health concerns. Being underweight is not necessarily a problem. If you are comfortable, able to function and exercise, weighing a little less than your ideal weight is not a problem. If you are wondering if you are underweight or need to gain weight, please have your BMI calculated. You can do it online, look for BMI calculator and simply enter your height and weight. However, if you are underweight, there is need to see your Dietician or Doctor for an evaluation. The Dietician will help you develop an eating plan that will help you gain weight in a health way with the foods you enjoy. People who skip breakfast struggle with weight problems and low energy levels later in the day than people who take time to eat. Eating breakfast boosts your metabolism, improves your appetite, prevents fatigue and helps improve your mood. 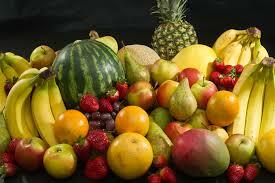 Make sure it comprises of starch, some proteins and vegetables and or a fruit to start your day. Skipping meals may make weight gain a huge challenge. When you are trying to gain weight, eating regularly is absolutely important. Consume reasonable portions spread throughout the day. Eat 5-6 smaller meals during the day rather than 2 or 3 larger meals. Add in, small healthful but nutrient dense snacks between main meals. Snack on nuts, seeds, fruits, and dairy. A weight gain program may seem like an opportunity for indulgence. 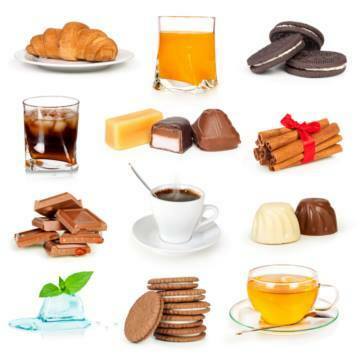 It does not mean you should head for high caloric foods such as soft drinks, chips, candy, which can create health problems associated with metabolic disorder including high blood sugar levels and other. Weight gain requires eating calorie rich foods but also nutrient rich foods. Choose whole grain and its products that are packed with more nutrients; vitamins, minerals, fibre over refined products, so each bite is loaded with good nutrition. This will help to ensure your body is receiving as much nourishment as possible, even if you’re dealing with a reduced appetite. Food diary will help you keep track of what you eat and drink each day, get an insight on what and how much you consume, uncover particular times of the day that are a challenge to you and help you establish on areas to improve on. By making just a few dietary changes each week, you can ease your way into a new pattern of healthy eating. Continue keeping the food dairy for few more weeks and you’ll realize how much progress you are making towards your health goals. Lots of people think that exercise is only for weight loss but regular exercise plays a key role in helping you gain weight in a healthy way. Exercise will help stimulate your appetite, improve your metabolism and prevent excessive buildup of body fat. An hour of workout session will be ideal with increase in strength workouts and reduce cardio.